You may know that several CTU teams spring into action simultaneously to provide the valuable information and guidance she needs to make a meaningful decision about her education. To support this nurturing phase, CTU began developing more targeted email messages in 2016. We want you to see what the prospective student seesso we can be more effective together. 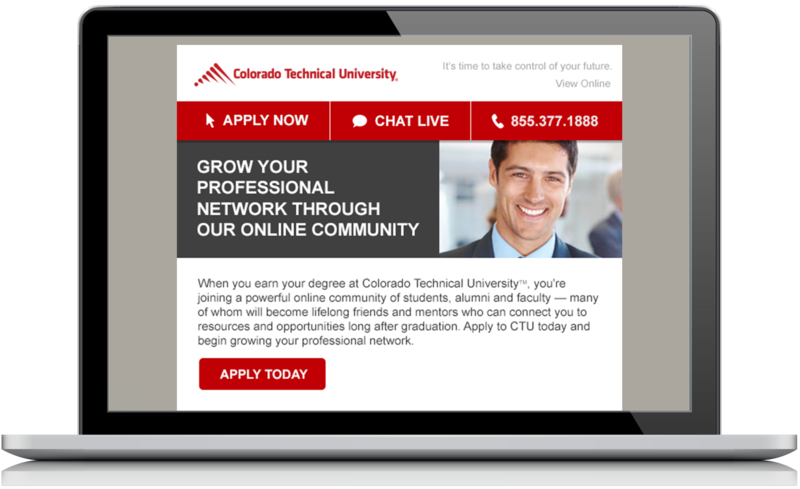 This interactive journey is intended to show you firsthand the prospective student’s experience of CTU’s targeted messaging. This experience illustrates the email messaging, text messages, and phone calls a prospective student receives.